Indonesia’s largest optical chain in Indonesia has signed an agreement with ETP International to implement the ETP V5.2 Retail solution suite across all its retail stores. The company is Indonesia’s largest optical chain and has 220 stores spread across the islands . Today the company has become synonymous with optical products. The optical chain’s key business is prescription eyewear. To ensure the highest level of service, they have their own lab in Jakarta which is equipped with a team of skilled professionals and world class instruments. Going one step further, many key stores are now equipped with equipment to edge and polish the lens so that turnover time for the lens is reduced. A wide variety of sun glasses, contact lenses and accessories are also available at the stores. The company ensures that the styles available at the stores are corresponding to those available in international markets. The first store opened in 1980 and the brand name is inspired from the name of the street where this store was located. The chain has rapidly grown to 175 stores. The stores set the standard for the service to customers. 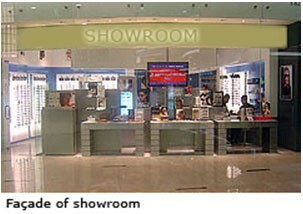 This is one of the biggest reasons why customers prefer to shop with this optical chain. The other differentiator is the range of exclusive brands which are available only at these stores. In Indonesia like many parts of the world, there is a large group of customer which falls into the middle class or lower middle class segment. A few years ago, the company successfully made a foray into this market through a new format. This format has now grown to a chain of 45 stores. “The optical chain is a household name in Indonesia and we are delighted that they have chosen ETP V5.2 to optimise its business operations. Leveraging on our ability to rapidly and smoothly implement the solution and to achieve the results quickly, we believe the company will see returns on their investment very soon. We are ready to work with this company throughout the whole implementation and user training process, providing them with the high quality of service and standards that all our other customers have come to appreciate,” said Mr Naresh Ahuja, Chairman, ETP International. With the use of ETP V5.2, the optical retail chain will be able to have one view of its business process and inventory flow throughout its business operations. It will enjoy reduced IT spending, improved customer service levels and more efficient time-to-market for promotions and product launches.